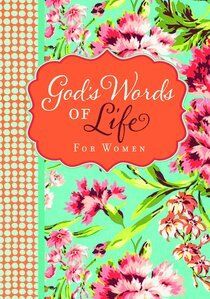 Women will love this topically-arranged promise book that includes Scripture and timely devotional thoughts. With contributions from Joni Eareckson Tada, Ruth Bell Graham, Emilie Barnes, Rosa Parks, Elisabeth Elliot, and other godly women (gleaned from the NIV Women's Devotional Bible), God's Words of Life gives practical wisdom straight from the Bible. This beautiful book is perfect for personal use or to share with a friend. About "God's Words of Life For Women (Niv)"